From ancient times to today, humans have tried many workout techniques. In the past few years, CrossFit has become especially popular. Yes, I know what you’re thinking: Wow, this exercise seems hard! Trust me, no one is doing this specific routine right off the bat. A seasoned CrossFit athlete may still struggle with this one. CrossFit exercises are easily scalable to strength and experience (although that doesn’t mean you should forget your intensity). In fact, CrossFit caters very well to youth athletes that are looking to increase muscle and strength in their offseason. This scaled exercise may work well for young athletes. A CrossFit exercise is usually timed. The more sets you do in that time, the more effort you must exert. The more effort you exert, the more gains you’ll see. CrossFit helps you become the fittest individual you can be. CrossFit is not an individual battle, however. There always seems to be a “Let’s get after it!” tone in a CrossFit gym. Athletes are always rooting each other on with team exercises and competitions. 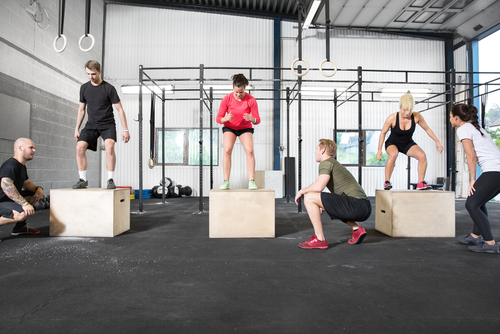 CrossFit has some terminology that the everyday gym-goer may not be familiar with. Check out the following cheat sheet for some common CrossFit terms used in the gym, so you don’t feel lost your first time out. As many rounds as possible (AMRAP): AMRAP simply means to complete as many rounds as possible of a circuit of exercises within a given time frame. The example exercises given above are sample AMRAP circuits. Note that AMRAP can also mean “as many reps as possible” in some circumstances. Every minute on the minute (EMOM): EMOM is an interval workout, where you perform a certain exercise every minute on the minute for a given time. For example, you can perform 10 push-ups every minute on the minute, for eight minutes. This form of interval training is great for conditioning and muscle endurance. 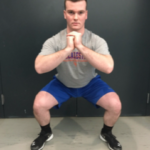 Metabolic conditioning (MetCon): MetCon is a form of conditioning that steers away from heavy weightlifting in favor of bodyweight movements performed over a set timeframe. It is usually done in AMRAP fashion, such as doing AMRAP of 15 squats, 10 pushups, and five pull-ups. Like most things in our society, when something gets super popular, it reaches a global scale. So why should it be any different with CrossFit? The Reebok CrossFit Games is a global CrossFit competition open to anybody and everybody who dares to put their fitness to the test. But first, you must qualify to make it there. Here’s how it works. It starts off with open competition of five events over five weeks at 1,300 affiliate CrossFit gyms across the world. Following the open competition are the regionals. There are eight regions around the world, and the top 40 men, 40 women and 30 teams from each region qualify for the regionals (Australia gets 50 men and 50 women, 40 teams). Each region holds a three-day competition consisting of six events. After competition has concluded, the five top scoring men, women and teams make it to the CrossFit Games. CrossFit isn’t just for top notch adult athletes; Young athletes are catching onto CrossFit very fast. The CrossFit Games have done a great job of catering toward young athletes as well. They hold a youth competition for girls and boys that is now aired on national television. Young athletes travel from all around the world to showcase their athleticism and compete in these games, just like the adult CrossFit Games. Furthermore, CrossFit is a great workout routine to keep young athletes fit during the off season. You don’t need to be deemed a “CrossFit Athlete” to do CrossFit. Some see CrossFit as too intense and stay away from it. But that is not the case. Although CrossFit is a challenging workout (just like every workout should be) young athletes can use it to improve their strength, speed and endurance. CrossFit is also fun! Young athletes are often super competitive with each other on and off the playing field. 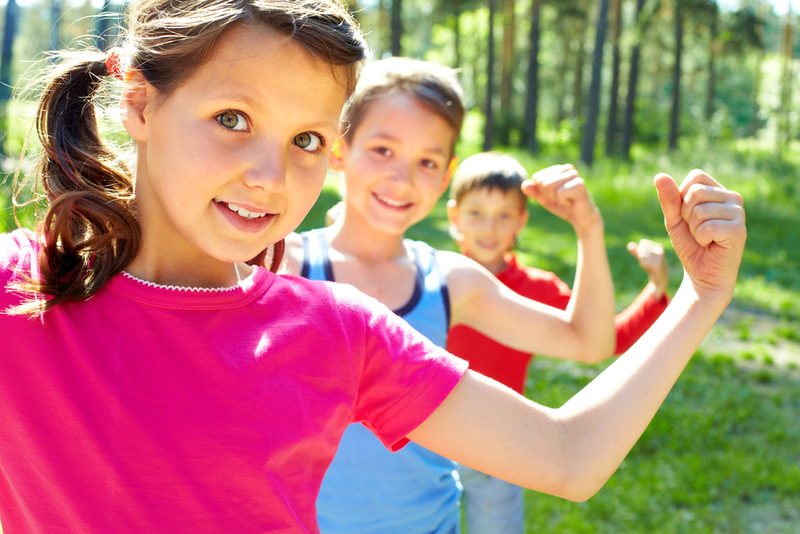 CrossFit is another way for kids to stay competitive with each other when the season is over. And the best part is, the gains will translate directly into improved results on the playing field. CrossFit is seeing a jump in youth participation and young athletes are reaping the benefits. Don’t let your opponents out work you! Give CrossFit a try, and watch your game jump to the next level. Tyler Fleischer is a Sales and Marketing Intern at TeamSnap. Tyler is a recent CU Boulder graduate with a degree in Marketing and Technology, Arts and Media. He grew up playing and watching every sport he could and baseball became his passion. From t-ball to high school varsity baseball to college intramural softball, he can’t get enough. When not in the office or on the diamond, you can find Tyler exercising or traveling the world.